Volvo Cars unveiled a concept that's never been attempted in the more than 100 years of auto manufacturing: the first car designed and developed almost exclusively by women. "Your Concept Car" (YCC) already made its worldwide debut at the Geneva Auto Show in Switzerland, but it will make its North American public debut on April 9 at the New York Auto Show. After New York, it will tour select U.S. cities before continuing its worldwide tour. Though created from a woman's perspective, the car includes features appealing to both sexes -- including easier maintenance, clever storage solutions, a better line of vision, computer-aided parking and a bold, yet elegant, exterior. The idea for the car began two years ago, when a group of women -- including engineers, designers and marketers -- at Volvo's global headquarters in Sweden attended a seminar that focused on how to better cater to women customers. Inspired by the event, the women began questioning two facts: Women purchase about 65 percent of cars and influence about 80 percent of all car sales; yet, for a century, men have made most of the decisions in the design, development and production of a car. Their conclusion: If women -- whether they are single professionals, soccer moms, homemakers or grandmothers -- do the bulk of car buying and driving, they should have a voice in car design. 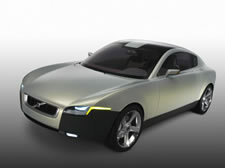 After successfully lobbying Volvo management, they received approval to create "Your Concept Car," designing it faster and at less cost than most concept cars. Beginning today, the women are unveiling it to the world. The car includes features not typically found in man-made cars. Among the dozens of unique items: no hood; no gas cap; easy-clean paint; numerous exchangeable seat covers of various colors and materials (linen, leather, felt, etc. ); compartments for handbags; gull-wing doors that make it easier to load and unload larger items and children; computerized assistance for parallel parking; and improved sight lines. Owners carrying large items can set the doors to open automatically when they reach the doors. At the point-of-purchase, retailers can conduct a body scan of the driver measuring height and length of arms and legs. The data is stored in the vehicle's key, and the car recommends a seat position for the driver that provides her or him an optimal line of vision and reach. The car also electronically notifies the owner's chosen service center when maintenance is due, and the service technician contacts the owner to book the appointment. Because it's a concept car, there is no assurance the car will ultimately be mass-produced for retail. Nevertheless, Volvo expects many of its ideas will find their way into future cars. "The goals with the YCC are to introduce important automotive ideas to the market and show the vast female brain trust within the automotive industry," said Tatiana Butovitsch Temm, YCC project team member. "It would also be great if we could inspire other women - and men - to question traditional business methods and create positive change within organizations. Great ideas always come about when people look within their personal and professional lives and ask: What could I do that's never been done before?" Women are forming an increasingly important customer group for Volvo Cars. In the United States, 54 percent of all Volvo buyers are women. "This car is a fantastic opportunity for us. We can concentrate on the fast-growing group of women customers without losing the men," said Vic Doolan, president and chief executive officer of Volvo Cars of North America. Volvo has a long-standing tradition of listening carefully to what women want. 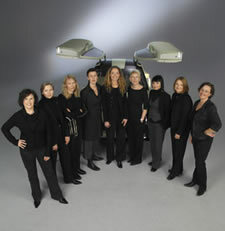 In the 1980s, Volvo formed a women's reference group to test and assess new models within their early stages of development. A women's focus group convened in California played the key role in the distinctive functions and features of Volvo's most recent commercial model, the XC90 sport utility vehicle. "Our aim is that you should feel great in this car." "A car is a very technical product. Still, your buy is based on emotions." "A car is your choice. Therefore it is very important that you can put your demands and wishes into it." "We are convinced that this car also, definitely, appeals to men." "The hallmark of a good idea is that people ask why this hasn't been done before." "In the YCC, we have retained our focus on customer needs, not compromised it in favor of flashy technical solutions." "We wanted to create a beautiful car. Not brutal, but tough." "The first impression you get of the car is a feeling of grace and space." "One way of being in control is that you have the opportunity to influence your environment." For more information, visit www.volvocars.com.